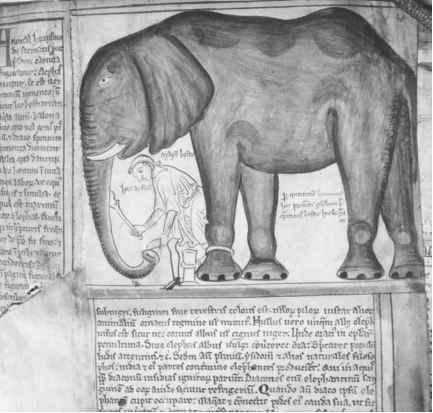 Elephant King Louis IX of France brought with him when he returned from the Crusades during the mid-1200s. From the Chronicles of Matthew Paris: Monastic Life in the Thirteenth Century. © The Master and Fellows of Corpus Christi College, Cambridge.